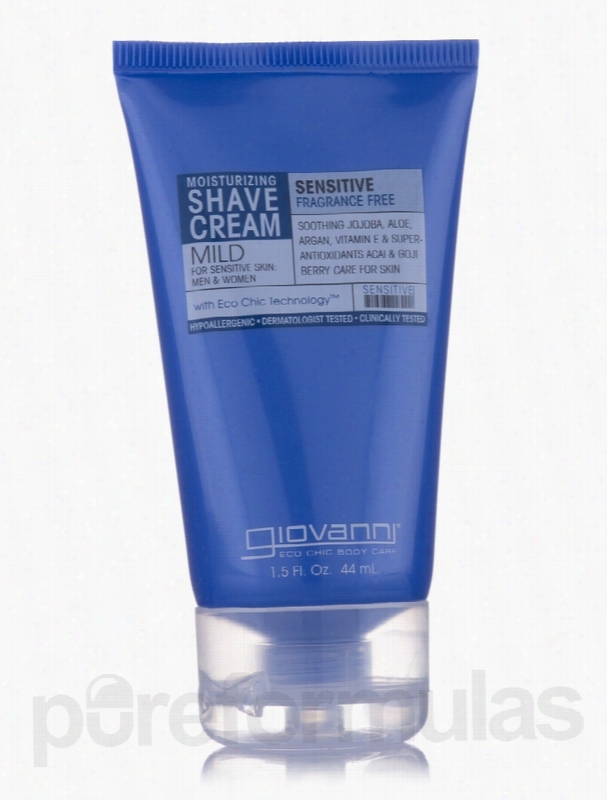 Giovanni Cosmetics Skin Care - Shave Cream Fragrance Free & Aloe. Soothing Jojoba&sbquo; Aloe&sbquo; Argan&sbquo; Vitamin E &amp; Super-Antioxidants Acai &amp; Goji Berry care for skin.For sensitive skin: men &amp; woman.This rich cream works on even the most sensitive skin to minimize nicks and cuts while softening skin&sbquo; hydrating and protecting. These statements have not been evaluated by the Food and Drug Administration (FDA). These products are not meant to diagnoseÃ¢ÂÂ treat or cure any disease or medical condition. Please consult your doctor before starting any exercise or nutritional supplement program or before using these or any product during pregnancy or if you have a serious medical condition. Giovanni Cosmetics Bath and Body - Cleanse Raspberry Winter Body Wash.
CLEANSE&trade; luxuriating body wash drenches skin in a mystical raspberry fragrance and contains distinctive looming agents that lather easily to gently cleanse away the day. Contains the exclusive Giovanni Eco Technology&trade; blend&sbquo; an advanced essential oil complex&sbquo; to soothe&sbquo; smooth&sbquo; and regenerates skin's lost moisture. These statements have not been evaluated by the Food and Drug Administration (FDA). These Products are not meant to diagnoseÃ¢ÂÂ treat or cure any disease or medical condition. Please consult your doctor before starting any exercise or nutritional supplement program or before using these or any product during pregnancy or if you have a serious medical condition. Amazing Cosmetics A Little Amazing Medium Beige 0.2 oz. Medium Beige - Ideal for light beige and light olive complexions.Say "Au revoir" to dark circles, blemishes, sun damage, broken capillaries, redness and more.Perfect for travel, this smaller version of the popular Amazing Concealer is a highly pigmented, super emollient waterproof formula that blends seamlessly into the skin, creating a flawless complexion that looks and feels natural. This concealer erases dark circles, blemishes, broken capillaries, sun damage and redness with only using tiny amounts of product.Called the "magic eraser" by Beauty insiders, Amazing Concealer will transform your skin... into Amazing skin. Giovanni Cosmetics Bath and Body - 2chic Brazilian Keratin & Argan Oil. To be 2chic&trade;: Take a trip. Massage our ultra-sleek lotion onto lightly damp or dry skin. Use generously. Revel in just how smooth and silky skin feels.Product Highlights:1. For all skin types.2. Dual smoothing complex.3. Moroccan argan Oil. These statements have not been evaluated by the Food and Drug Administration (FDA). These products are not meant to diagnoseÃ¢ÂÂ treat or cure any disease or medical condition. Please consult your doctor before starting any exercise or nutritional supplement program or before using these or any product during pregnancy or if you have a serious medical condition. Amazing Cosmetics A Little Amazing Light Golden 0.2oz. Light Golden - Ideal for fair golden complexions.Say "Au revoir" to dark circles, blemishes, sun damage, broken capillaries, redness and more.Perfect for travel, this smaller version of the popular Amazing Concealer is a highly pigmented, super emollient waterproof formula that blends seamlessly into the skin, creating a flawless complexion that looks and feels natural. This concealer erases dark circles, blemishes, broken capillaries, sun damage and redness with only using tiny amounts of product.Called the "magic eraser" by Beauty insiders, Amazing Concealer will transform your skin... into Amazing skin. Amazing Cosmetics A Little Amazing Fair 0.2 oz. Fair - Ideal for extremely fair complexions.Say "Au revoir" to dark circles, blemishes, sun damage, broken capillaries, redness and more.Perfect for travel, this smaller version of the popular Amazing Concealer is a highly pigmented, super emollient waterproof formula that blends seamlessly into the skin, creating a flawless complexion that looks and feels natural. This concealer erases dark circles, blemishes, broken capillaries, sun damage and redness with only using tiny amounts of product.Called the "magic eraser" by Beauty insiders, Amazing Concealer will transform your skin... into Amazing skin. Amazing Cosmetics Amazing Concealer Light Golden 0.5oz. Light Golden - Ideal for fair golden complexions.Say "Au revoir" to dark circles, blemishes, sun damage, broken capillaries, redness and more.Amazing Concealer is a highly pigmented, super emollient waterproof formula that blends seamlessly into the skin, creating a flawless complexion that looks and feels natural. This concealer erases dark circles, blemishes, broken capillaries, sun damage and redness with only using tiny amounts of product.Called the "magic eraser" by Beauty insiders, Amazing Concealer will transform your skin... into Amazing skin. Amazing Cosmetics Amazing Concealer Fair 0.5 oz. Fair - Ideal for extremely fair complexions.Say "Au revoir" to dark circles, blemishes, sun damage, broken capillaries, redness and more.Amazing Concealer is a highly pigmented, super emollient waterproof formula that blends seamlessly into the skin, creating a flawless complexion that looks and feels natural. This concealer erases dark circles, blemishes, broken capillaries, sun damage and redness with only using tiny amounts of product.Called the "magic eraser" by Beauty insiders, Amazing Concealer will transform your skin... into Amazing skin. 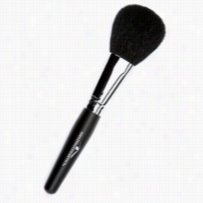 Amazing Cosmetics Velvet Brush 1 ct. Perfect for travel, this gloriously soft, natural brush with a shortened handle applies the perfect amount of powder, effortlessly. Great with loose and pressed powder, even bronzers and Blush, this brush will have you applying your favorites like a pro.The Velvet Brush is hand cut, hand shaped and 100% wool. 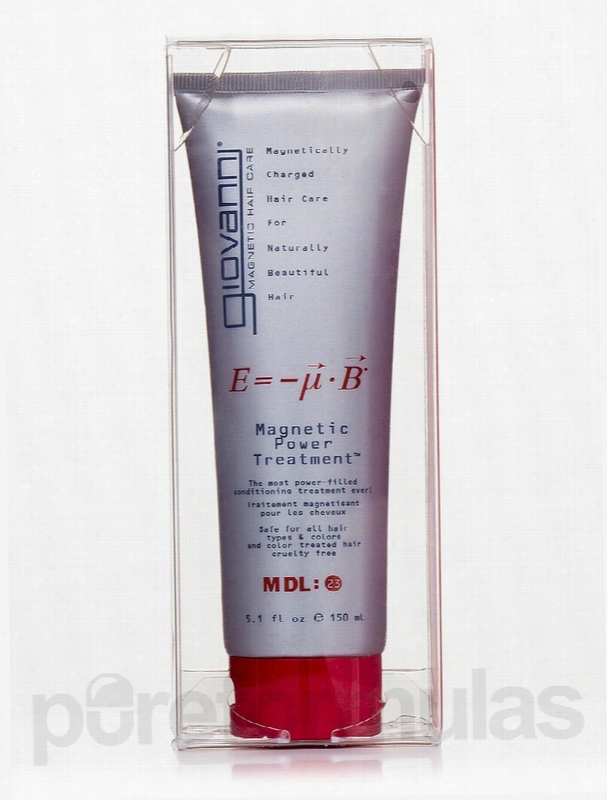 Giovanni Cosmetics Hair - Magnetic Power Treatment - 5.1 fl. oz (150. This luxurious creme is super-rich in deep-penetrating&sbquo; long lasting conditioning MicroMagnets&trade; are attracted to those sites on your hair that need conditioning&sbquo; giving you a strand-by-strand&sbquo; customized conditioning treatment. Detangles&sbquo; adds moisture and repairs dry or damaged hair. Helps eliminate split ends. Adds high shine&sbquo; elasticity and manageability to all hair types. These statements have not been evaluated by the Food and Drug Administration (FDA). These products are not meant to diagnoseÃ¢ÂÂ treat or cure any disease or medical condition. Please consult your doctor before starting any exercise or Nutritional supplement program or before using these or any product during pregnancy or if you have a serious medical condition.